Our Murdo hotel is located 60 miles from the Badlands and is just a few minutes away from the Pioneer Auto Museum. Located near South Dakota's Original 1880 TOWN and 50 miles from the State Capital, our Murdo hotel is your home away from home. We're located right off the I-90, which makes it easy for business and leisure travelers alike to get around the region. We understand that location and quality is everything when traveling, which is why our hotel always puts the comfort of guests first. With a seasonal outdoor swimming pool, comfort and relaxation are top priorities at our Murdo hotel. Count on us to provide you with the best quality service and accommodations year-round. We're a pet-friendly hotel because we know that it's important for the whole family to travel together. Bring Fido on your trip to make any vacation complete. There's a microwave and refrigerator in every room of our Murdo hotel, which makes extended stays simple. We also offer both free high-speed Internet and a deluxe continental breakfast. The most important meal of the day is served buffet-style with pancakes, eggs, and a selection of cereals, yogurt, pastries and 100% Arabica coffee along with chilled juices. Kick your morning off in style. We're just 130 miles from Mt. Rushmore, and are proud to be a popular stopping point for travelers working on their bucket list. Whether you're headed to the famous presidential rocks or on your way to the Badlands, you deserve to stay in a cozy and comfortable hotel. Our friendly staff members are committed to making every guest's stay enjoyable. From spacious, well-appointed rooms to the welcoming environment of our hotel, count on our Murdo hotel to make your trip special. Reserve your upcoming stay at Best Western Graham's today! From: I-90. 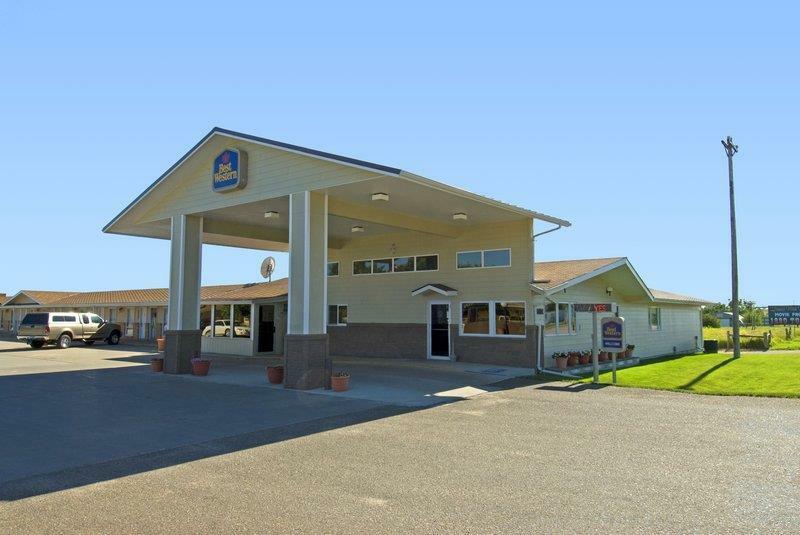 Take either Murdo Exit 191 or 192 to Hospitality Row on I-90 Loop to the Best Western Grahams. More than 30 turn-of-the-century South Dakota buildings, plus movie props and memorabilia from Dances with Wolves!